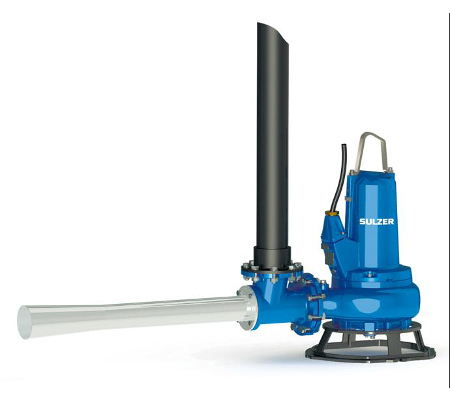 The compact Sulzer abs flow boosters have been designed for a wide range of applications. 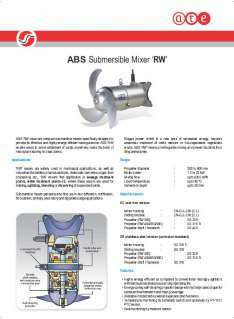 The units are suitable to achieve flow pattern in large tanks and open waters for mixing and stirring applications. 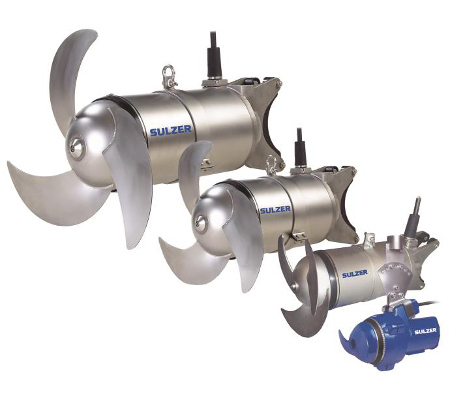 The Sulzer abs flow booster XSB is designed as a compact, water pressure-tight unit including propeller and integrally lockable coupling system. 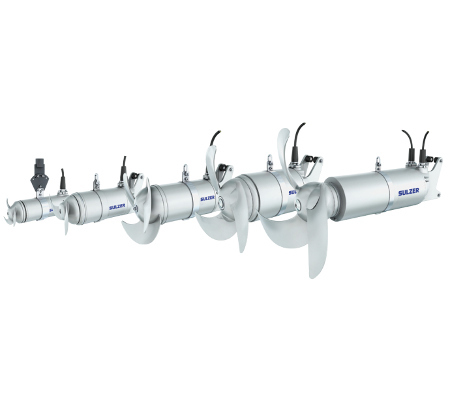 It is equipped with an axially operating 3-blade propellers with very good self-cleaning effect for vibration-free operation. 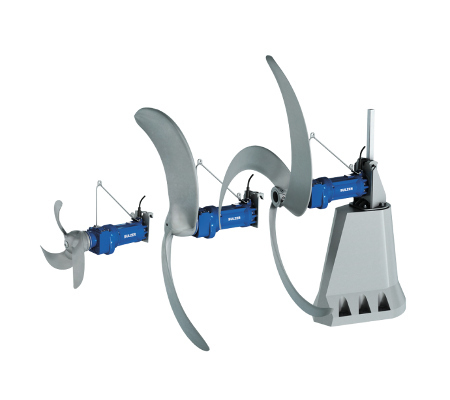 The propellers are designed to achieve high thrusts and therefore, a high flow capacity in axial direction. The patented solids deflection ring protects the mechanical seal from damage by ingress of solids or fibrous matter. 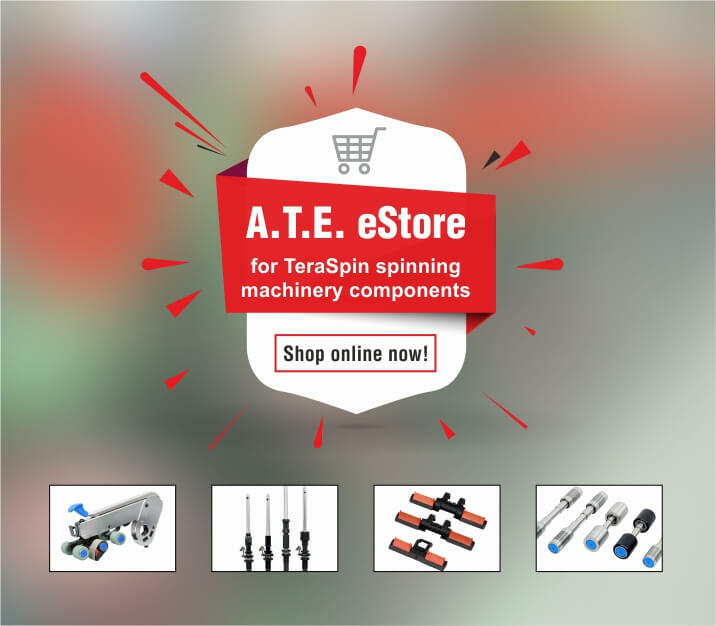 All bearings are lubricated-for-life and maintenance-free, with a calculated life time of more than 100,000 h.